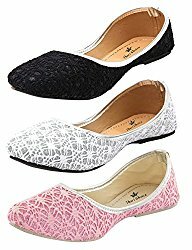 AliExpress is offering upto 70% OFF On Shoes. Shop wide range of products like men's footwear, women's footwear and lot more. No AliExpress coupon code is required to redeem this offer. Hurry!!! Get upto 60% off on Women's Footwear. Choose categories like Sandles, Belly shoes, Loafers, Flip flops, Running shoes, Derbies, Boat shoes, Brogues and lot more. No coupon code is required to avail this offer.